People say some very strange things to you when you’re a vegetarian. “What do you eat?” for one. Well, mainly, one tries to stick to food. A personal favourite was “You don’t look like a vegetarian.” Well, no, I thought I’d leave my fur coat and long floppy ears at home today, if that’s okay by you. Something else that you hear on a frequent basis is that it is well-nigh impossible to remain vegetarian in other parts of the world, as though Great Britain were the only country on Earth that provides such fare. Clearly, such people have no concept of places such as Sri Lanka, or large swathes of India, where vegetarian food is the norm. The Duck Holiday team have also spent considerable time in sub-Saharan Africa and managed to avoid turning into carnivores, although it is possible that the occasional insect was swallowed inadvertently. Eastern Europe does, it is true, generally lean towards meaty diets, but this has never presented a problem. Admittedly, spending time in capital cities and other large towns provides a wider choice than if one were to confine oneself to rural areas. This is especially true since the break up of the Soviet Union, with most cities offering food from all parts of the world. The Duck Holidayers had one of their best ever Indian meals in Budapest and one can find Chinese and Italian restaurants almost anywhere. For the intrepid traveller, however, these kinds of establishment should feature only as occasional treats or last resorts. Part of the pleasure of visiting new places lies in discovering new things, and food is no exception to the rule. Many countries have variations on a theme, with food that is of similar style, though the names may be different. Soup can be found just about anywhere, though vegetarians need to be a bit careful, as sometimes seemingly suitable concoctions can have lumps of meat thrown into them. In city restaurants, though, it’s usually pretty obvious what is vegetarian and what isn’t. Garlic lovers (which include Duck Holiday) can have a fine time in Eastern Europe. Garlic features prominently in vampire myths of the east and while you’re unlikely to be savaged by vampires, you can still use it as an excuse for scoffing plenty of garlic. 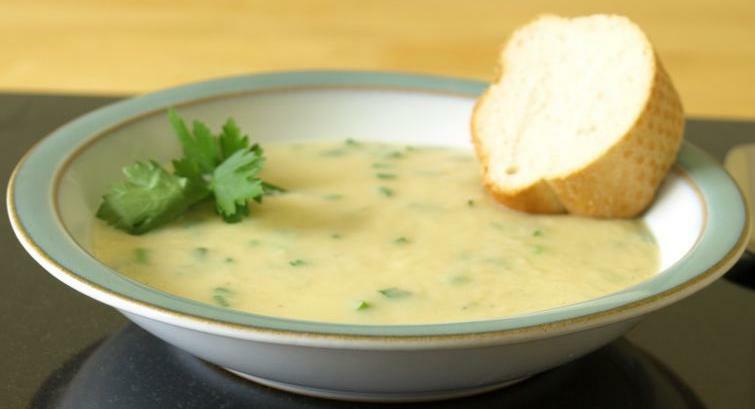 Garlic soup is a delightful brew, especially nice with crusty bread and perfect for thawing out on a chilly winter’s day. This is also, in general, a healthy option, though those with concerns over fat levels might want to take care in Slovakia, where fried cheese is rife and your apparently healthy bowl of garlic or onion soup may well contain large slabs of the stuff. Tasty yes, cholesterol-friendly, no. The Baltic region also has a passion for garlic. Tallinn and Riga both have ‘garlic restaurants’, where every dish contains garlic, so if you want to experience the novelty of garlic ice cream, head for Estonia or Latvia. A nice option if you want a few beers is a garlic tapas, where you can pick your way around a large platter of garlic-based delicacies and wash them down with your ale. There is no need to be intimated by the prospect of chomping your way through an entire bulb of roasted garlic; as with onions, the result of cooking the bulb like this gives it a delicious sweetness. Garlic bread is another good beer snack and this can often be found in varying formats. Slovenia, which has many Italian influences, specialises in thin, crispy pizzas and a simple pizza base loaded with garlic goes well with a few glasses of beer. 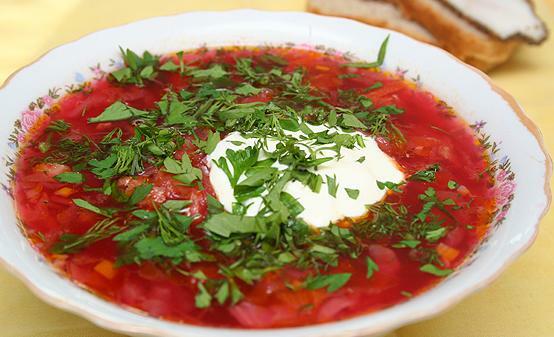 Further east, pampushkas, small round pieces of bread flavoured with garlic, are a favourite accompaniment to that Ukrainian and Russian staple, borsch. This wonderful dish – beetroot-flavoured soup, not beetroot soup – is often meat-laden, but it isn’t usually too hard to find a vegetarian version. It is normally served with another old favourite of eastern cuisine, sour cream. 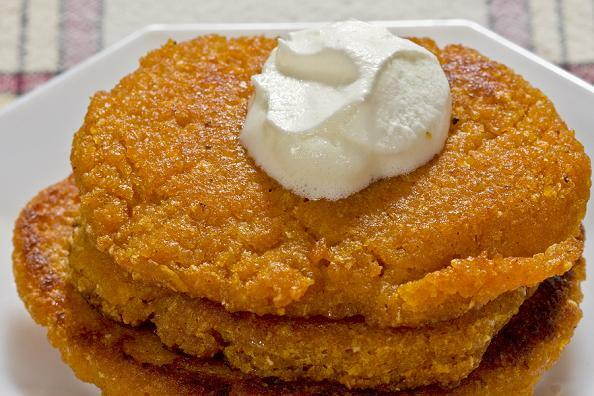 Something else that frequently features sour cream is the potato pancake. Most countries have a version, sometimes plain, sometimes flavoured. Like soup, this is a good option for lunchtime, especially if you’ve been doing a fair amount of walking. 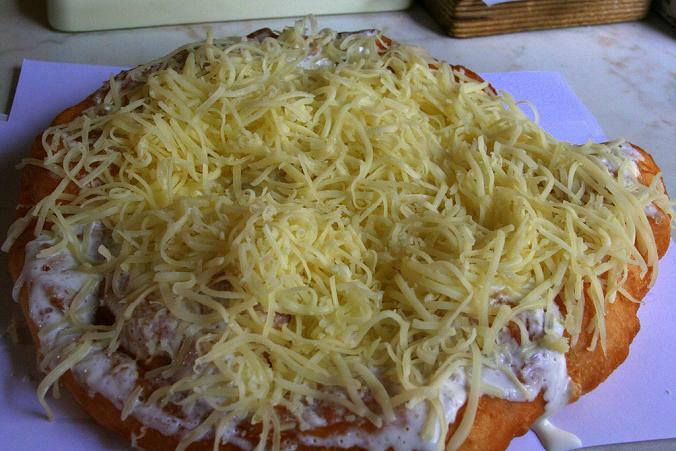 There are many local variations, for example Hungarian lángos, potato cakes typically served with sour cream. In any Balkan country, it is impossible to avoid burek, which is ubiquitous throughout the region. This is a pastry that is somewhat akin to a large and slightly greasy croissant. 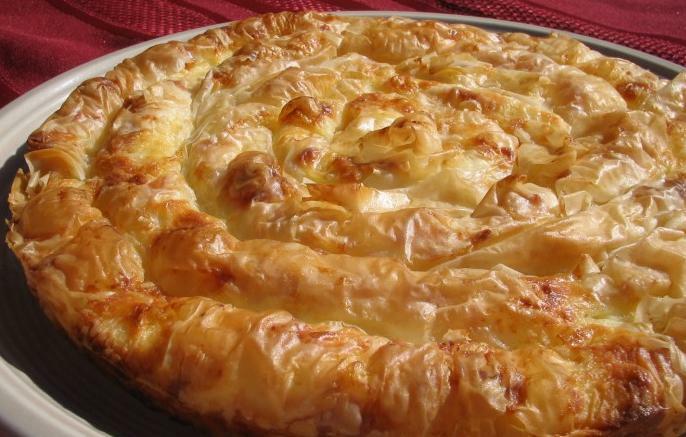 Sometimes, it is filled with meat, but cheese burek are very easy to find and if you’re lucky, you might get a marginally healthier one that is stuffed with spinach. Quality can vary wildly, but one saving grace is that it is very cheap and can come in handy if you are pressed for time or money. Even if none of this holds much appeal, there are markets to be found everywhere. From the superb Dolac market in Zagreb to the Trnica in Ljubljana, the magnificent Central Market Hall in Budapest to the crowded Markale in Sarajevo, there are fruit and vegetables piled high. Markets are also a great way to experience the feel of a city, even if you’re not buying. The Pazari i Ri in Tirana is a good example, offering a real-world contrast to the slightly bizarre architecture of the Albanian capital. The Piata Amzei in Bucharest offers a similar experience. In a city that has no real centre, this feels like a beating heart. And if it’s all too much, sit back with a cup of coffee and watch the madding crowds from a distance. Much of the produce in these markets comes from smallholdings, so what you’re getting, in effect, is fresh organic food, usually at very low prices. 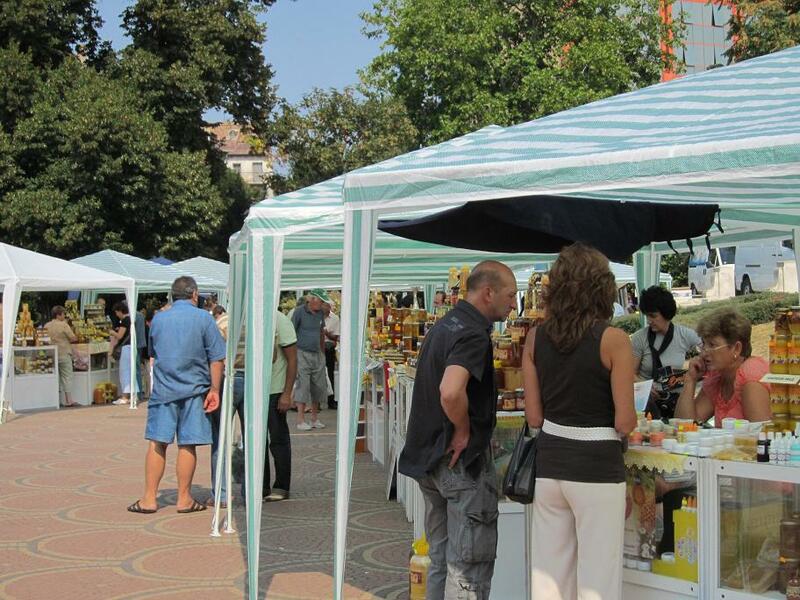 The markets tend to sell all sorts of other stuff, so if you’re after crafts and souvenirs, you can pick them up along with your strawberries and peaches. 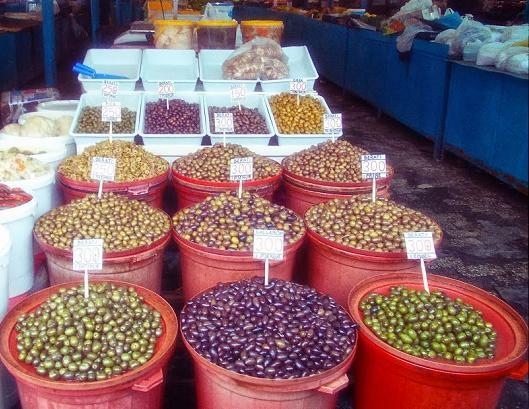 Try a few of the local cheeses, as well (one recommendation is to treat yourself to some fresh cheese and olives in Tirana), along with honey. Even if you’re not a fan of honey, check out the honey market in Sofia (opposite the Market Hall) and be amazed at just how many different types you can get. It is not always simple being a vegetarian, but rest assured that it is a great deal easier than it was 35 years ago. Sometimes, you need to be a bit resourceful, but there is always a way, even if if means the occasional curry or pizza to see you through. There is plenty more out there, though, it you look in the right places. This entry was tagged Eastern Europe, Food. Bookmark the permalink.